Congratulations!!! Please email me at Darlindeals@hotmail.com within 48 Hours to Claim your Prize! You may all remember that a few weeks ago I was contacted by Educational Insights and asked if I would Review some of their Educational Toys & Games and then Host Giveaways for the same product. Last week I hosted a Giveaway for the Hot Dots Jr. Counting Card Set + Ace the Talking Dog. This week I am pleased to host a Giveaway for Educational Insights’ Design & Drill Learning Toy! This Educational Game is recommended for Ages 3+ and in my opinion this is mostly due to the Pattern Designing skills that this toy requires to fully utilize it for its intended educational purpose. I think this is a wonderful game that younger children can also enjoy even if they don’t yet comprehend how to create the patterns. This game comes with a play Screwdriver with a Forward & Reverse option to push or pull the screws in or out of the holes on the case. It also comes with 3 different ‘drill bit’ designs to attach to the screwdriver. Although my Son is still too young to understand how to create any pattern designs with the Screws, he was able to grasp the idea of how to use the Screwdriver on his own to Drill the plastic Screws in & out of the Travel Case! He was thrilled everytime he was able to attach the screwdriver correctly to a screw and then watch the screwdriver pull a screw out of the Case. The only ‘flaw’ that I found with this game is that the area where the batteries need to be inserted into the play screwdriver requires an actual tool (small phillips head screwdriver) to open the base of the play screwdriver to insert the batteries and the game didn’t come with this tool. Including this tool would make it easier to open the base of the screwdriver in you don’t own the exact screwdriver that this requires. Luckily my Husband had the tool that was needed in his tool box. Other than this very minor issue, Educational Insights has impressed me yet again with another fabulous Educational Toy! Educational Insights has generously offered to give 1 Lucky Darlin’ Deals Fan a Design & Drill Learning Toy! 3) Post a Comment on THIS Giveaway Post letting me know you ‘Like’ Educational Insights on Facebook & Thanked them! Please make sure your Name is included in your Comment. 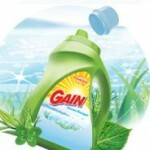 $1 Off GAIN Laundry Soap Coupon – Mailed to you! 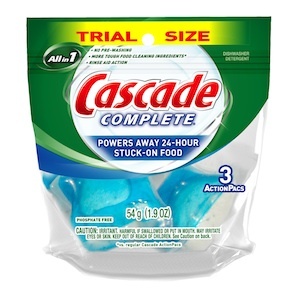 Get a $1/1 GAIN Ocean Escape Laundry Soap Coupon from P&G! You will need to Sign Up for a P&G Account and they will mail the Coupon to you. Thanks for the tip Freebies4Mom! 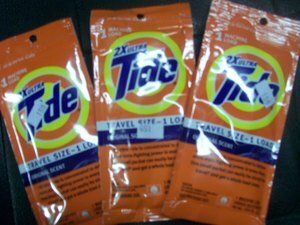 Bath & Body Works, CVS, & Rite Aid = $0.99! Went to CVS, Bath & Body Works, & Rite Aid Today… Here’s what I got for $0.99! Target Clearance Shopping = $1.61 Total! Went to Target to get some Clearance Items, July is a BIG Clearance time for Target! FREE Skin Care for Athletes Body Wash! Get a FREE Tri-Body Wash from Skin Care for Athletes! Please ‘Like’ Got Skin?’s Facebook Page first and then you can request this Set on the Link below. FREE Nursing Covers, Slings & Breast Pads! Uddercovers is offering FREE Nursing Covers & FREE 20 Pack of Breastpads! 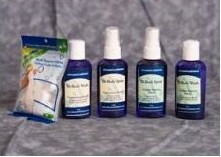 Use Promo Code BREASTFEEDING at Checkout to get $32 Off your purchase which will cover the Cost of 1 of these Products. You can purchase both and use the Code twice, but you will have to place 2 seperate orders to get both for Free. You will still have to pay Shipping Costs. Thanks for the tip Breen Tivnan Inkmann! Seven Slings is offering FREE Baby Carrier Slings! Use Promo Code FAMILY2011 at Checkout to get up to $48 Off your purchase which will cover the Cost of the highest Priced Slings available. You will still have to pay Shipping Costs. Thanks for the tip Kat Maldonado-Perez! Better than FREE Deals at Walmart! Here are some Better than FREE Deals available at Walmart! FREE 5 Count Sample of Tampax Pearl Tampons! 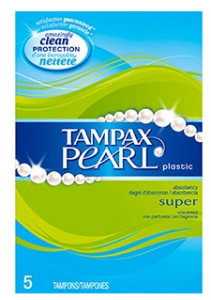 Costco is offering another FREE Sample ~ Get a 5 Count of Tampax Pearl Tampons! You do not need to be a Costco Member to request this Sample, just leave the Costco ID Field blank. 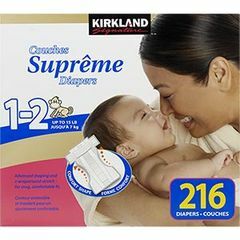 FREE Sample of Kirkland Diapers! 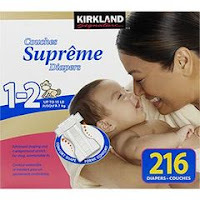 Get a FREE Sample of Kirkland (Costco Brand) Diapers! I’ve heard these Diapers are wonderful and compare to the softness of Pampers or Huggies! You do not need to be a Costco Member to request this Sample, its Open to the Public. Thanks for the tip Freebie Shark! I LOVE LUCY Complete DVD Series 66% OFF! Amazon.com has I LOVE LUCY Completed DVD Series on SALE! This Box Set retails for $235, but TODAY ONLY you can get it for just $79.99! Click HERE to purchase this 9 Season 34 Disc Set! This is a Gold Box Deal meaning this Low Price is for TODAY ONLY.